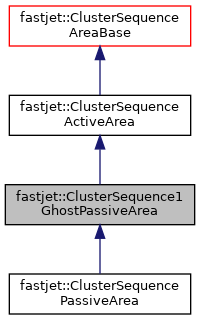 Like ClusterSequence with computation of the passive jet area by adding a single ghost. Definition at line 57 of file ClusterSequence1GhostPassiveArea.hh. return an estimate for the number of empty jets – one uses the AreaBase one rather than the ActiveArea one (which for which we do not have the information). Definition at line 72 of file ClusterSequence1GhostPassiveArea.hh. 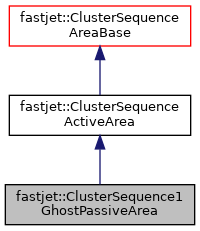 Definition at line 40 of file ClusterSequence1GhostPassiveArea.cc.